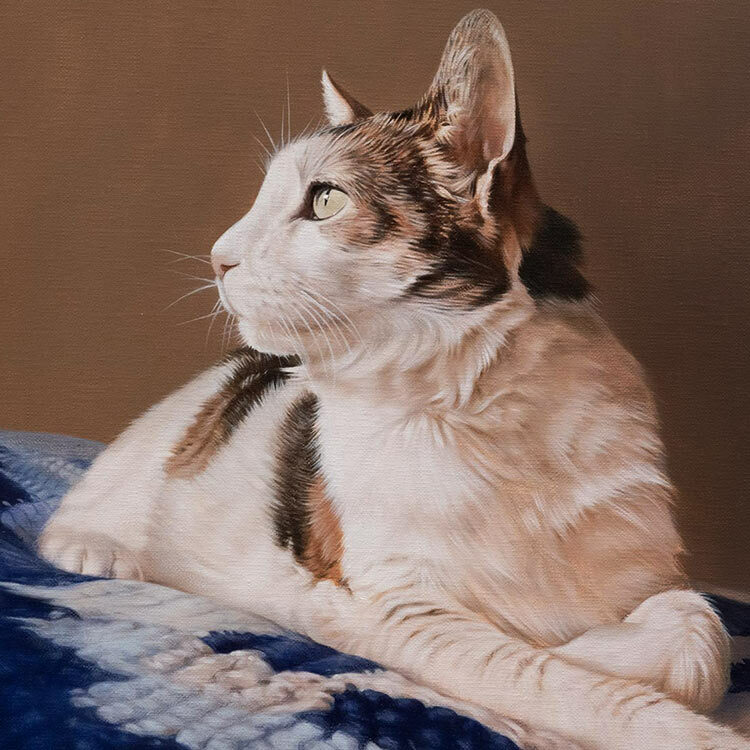 Barrie and his wife Barbara called our studio to find out if we would be able to create an oil painting of their daughters beautiful cat Tia, who had sadly passed away from an illness. Tia was a very much loved cat and very much missed. 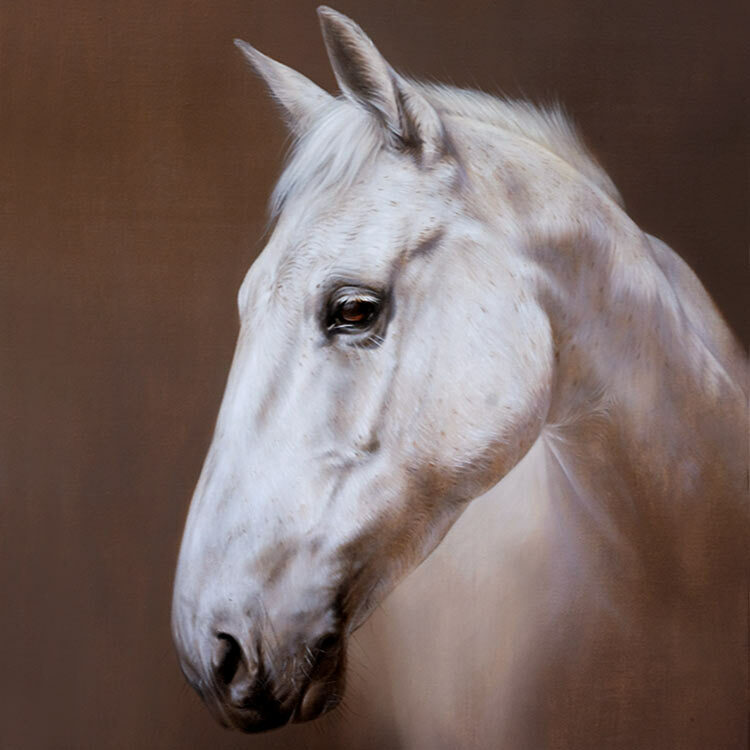 Barrie had a very good camera and took some high quality photos of Tia before she passed so that he could commission the painting. The portrait was an 18 x 14 traditionally hand painted portrait by Nicholas. 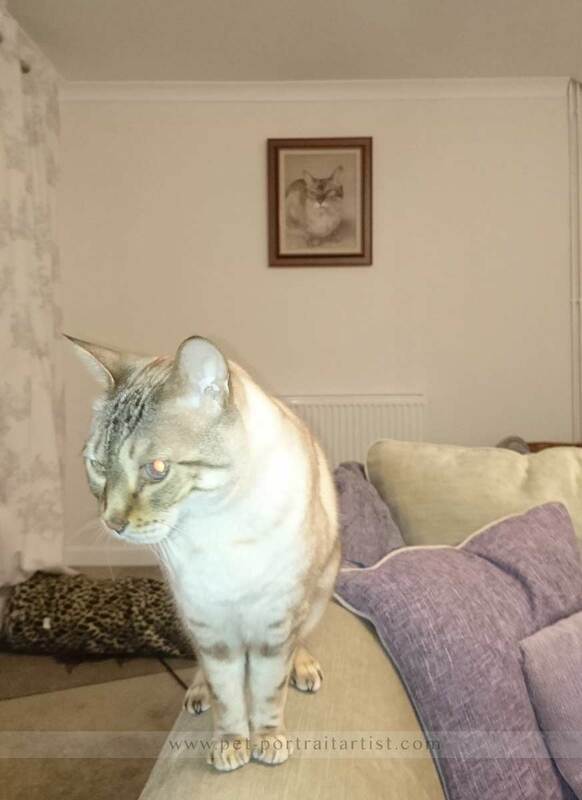 You can see some photos below of Tia's painting when it was displayed in Barrie’s daughters home with her other cat bailey. 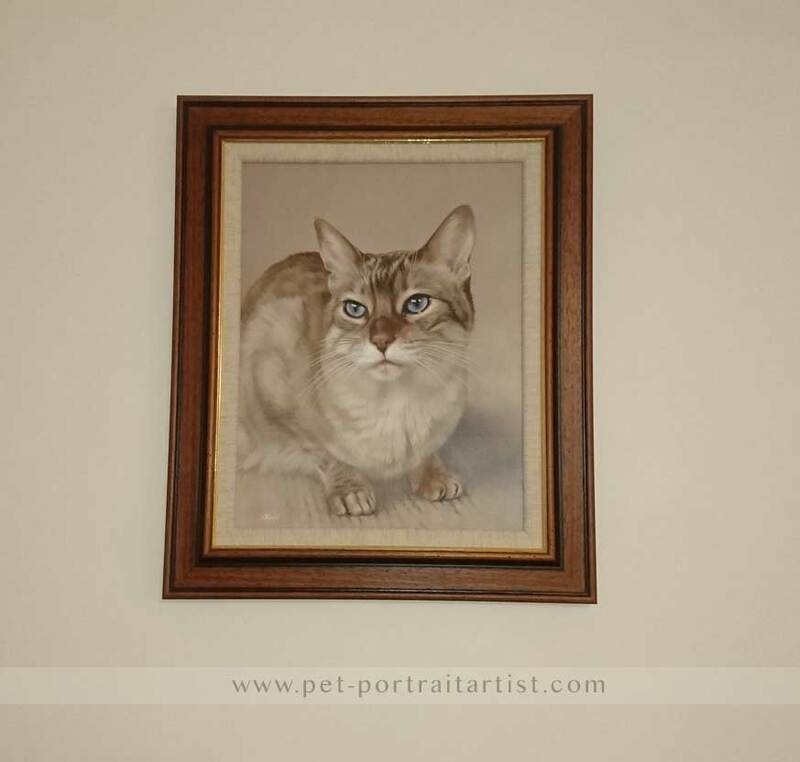 if you would like to read the full story and how Barrie gave his daughter the painting, head on over to Tia's page on our cat portraits website.